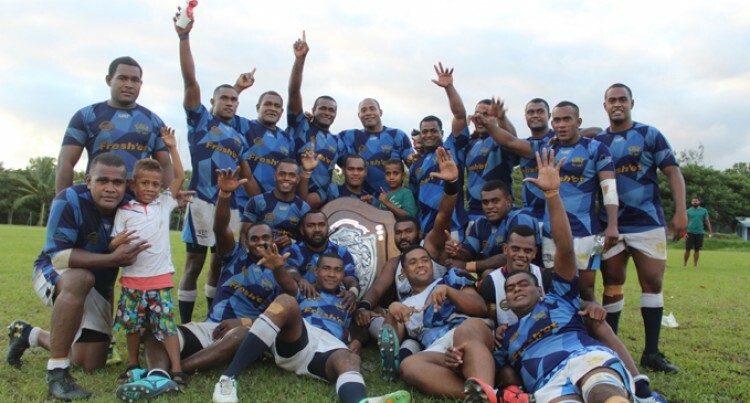 The Navy rugby team are on track to defend the Suva Rugby Union’s Escott Shield after thrashing Queen Victo­ria School Old Boys (QVSOB) 49-8 at Bidesi ground in Suva, yesterday. Navy led 22-0 at halftime but QVSOB’s Jo­seph Vuerewa scored a try in the second half. Navy played with 14-men for most part of the match after Jitoko Usamate copped a red card in the first half. Waisake Urabuta scored three tries for Navy in the second half with Lemeki Damu getting the other try. Navy manager Osea Natuva said they would look into their weakness as the com­petition is getting tougher. “It was a good performance by the players and we are now looking forward to the big­ger challenges in the competition,” he said. “Our plan was to play wide balls and the red card to Usamate was also a contributing factor in the match. We will go back to the drawing board and map our plans for the competition. He was overwhelmed with the effort and thanked the assistance from close families and friends for the support throughout. “It was not an easy game for us as we just had two weeks to prepare. “This win would have not been possible without the support of our families and friends,” he said.